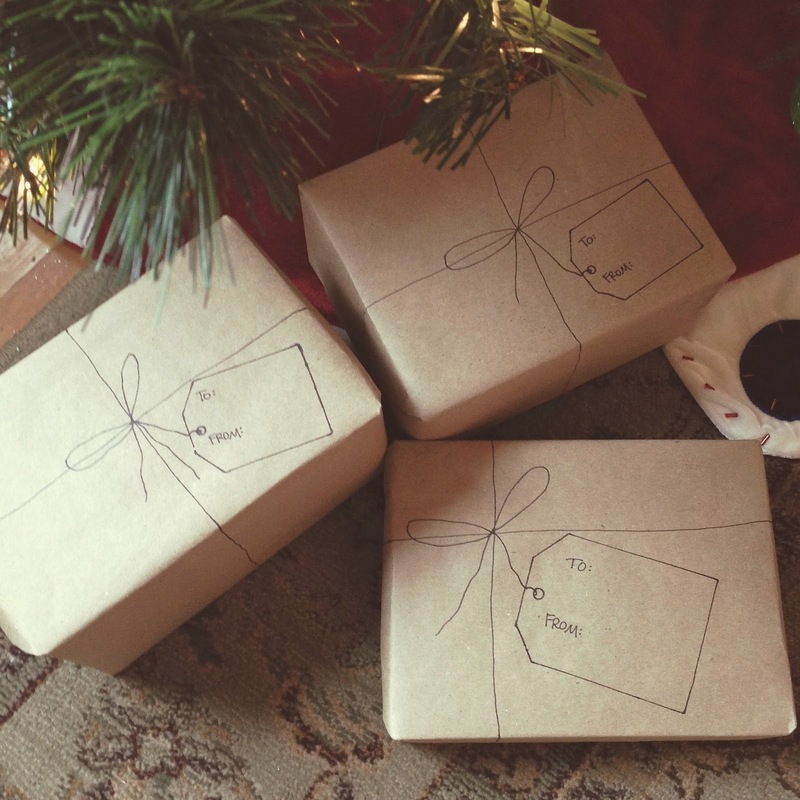 This is such a simple gift wrap idea, it's ridiculous. 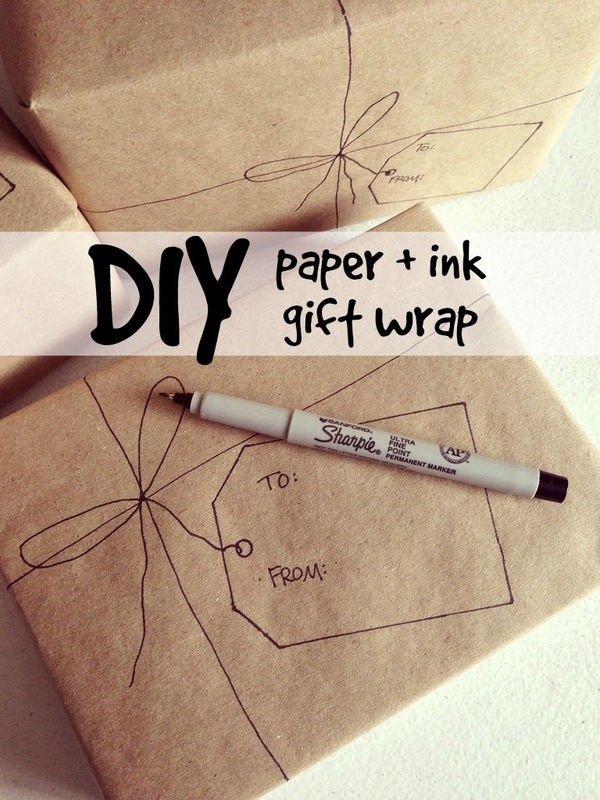 Wrap your gift & then use the Sharpie to draw a ribbon + bow + tag. 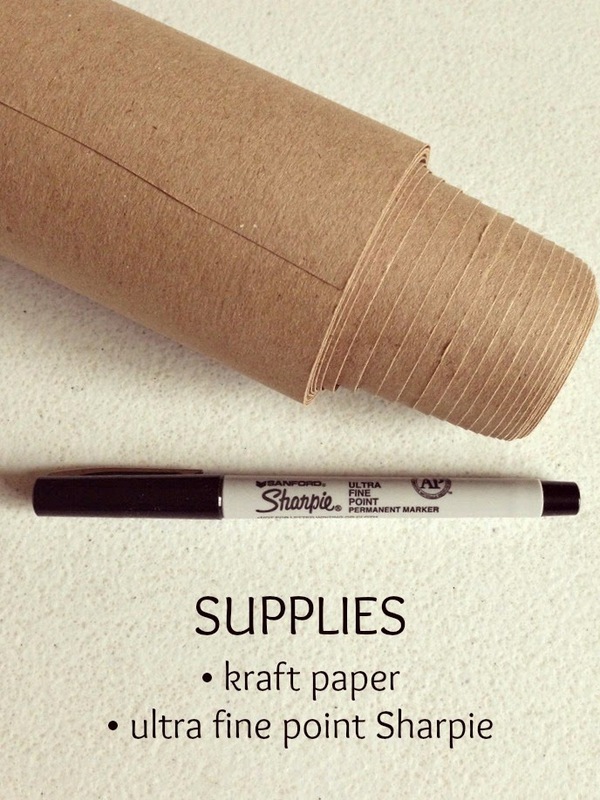 My secret to wrapping a gift in kraft paper? Use a hot glue gun to secure edges & flaps. beautiful. I'm going to use these ideas on all my holiday gifts, wedding and otherwise!